…Zambia joins global efforts for GDP growth. 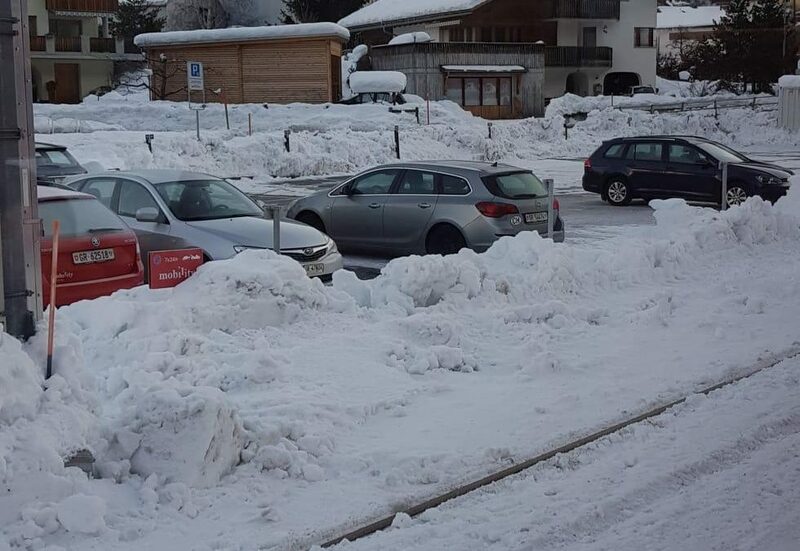 The small alpine exotic town of Davos whose normal population would not exceed more than 12,000 people on a normal day of the year is practically fully booked in January. More than 1000 business leaders, sixty Heads of State, dozen senior diplomats and none governmental agency leaders including the International Monetary Fund or IMF, World Bank and United Nations (UN) top brass are here. As an African diplomat, navigating your way to this freezing beautiful neck of the wood was some kind of a feat starting with a flight out of Tegel into Zurich, Switzerland in my case, crowned by a three-hour fast train ride from Zurich into Davos. The rare sun shines brightly over the homes and warehouses caked and capped in snow in shimmering shades of white light bouncing gingerly on huge layers of snow mounds. The scene below pure blue skies, almost muting the important and serious discussions that are going on behind closed and open doors in Davos. The World Bank and the IMF have announced an about 3 percent downgrade in global economic growth due to a combination of factors and of course specifically a reduced growth, the first in more than two decades of China. More than three decades ago, little attention was paid to whether the economy of China grew or shrunk but now, China coughs the world catches a cold. Country’s like Zambia of course including many in Africa and beyond would get concerned if Chinese GDP growth slows down due to close economic diplomatic relations the second largest global economy has with Africa and the rest of the world in general. But this week, China is, though important, not the biggest issue on the minds of analysts here; they are concerned about three major things. The uncertainty surrounding Brexit in the United Kingdom with less than 100 days before they can inform the EU on the way forward around the divorce described by British media as extremely messy. The upswing in nationalism not only in the United States but crucial parts of the EU such as Hungary, Austria and Italy to mention but a few. At a time that the summit in Davos is discussing GLOBALISATION 4.0 to “improve the state of the world,” the situation does not lift many spirits. The theme simply refers to the Fourth Industrial Revolution which analysts fear is unlikely to buoy if pockets of the globe push selfish nationalistic agendas. The sentiments of those that frown on a new push for nationalism is clearly shared by German President Dr Frank Walter Steinmeier who in a frank no holds barred address to Ambassadors accredited Berlin recently cautioned the world to learn from Europe’s ‘bloody past’ and desist from egoism. Zambia on the other hand has a lot to learn from this important annual business summit in Davos where the population has more than doubled for the business week and prices of everything shot up overnight remains a player like many others from the region. What with its vast natural resources and growing young population under the age of 35. Zambia has participated in special events such as the P4G that shows alternative ways of growing the economy and accessing affordable financing for growing sectors such as energy. Africa Greenco which has been discussing an offtake agreement with Zambia said there is no country best suited to benefit from an off-taker model of financing the energy sector than she especially due to its central location in SADC. As the Davos WEF side-line meeting progressed, the Africa Development Bank and the Agence France bank linked to Africa Greenco founded by Ana Hadjuka were in Lusaka on a one-week fact finding meeting to see how the plans with off taker was advancing. Zambia’s peace, stability and budding democratic credentials remain music to the ears of many gathered here that include organisations such as the Islamic Development Bank President His Excellency Dr Bandar Mohamed Hamza Hajjar. The bank President that hosted the P4G special Davos event urged African countries in particular and developing countries in general to change development models from leaning largely onto exporting raw materials to adding value to goods and diversifying their economies. In the expensive town of Davos where a four-minute tax ride can cost up to 30 euros or almost 500 kwachas, partnerships are being sort and escalated even in the face of a down turn predicted by the IMF and World Bank. Achieving the 17 SDGs on time is on everybody’s lips even as OXFAM shows that the rich are getting richer as the poor down slide further. Perhaps what is greater in terms of economic diplomacy is the fact that Zambia has a place in this global stage, seeking to get its own share. The author H.E Anthony Mukwita is the Ambassador of Zambia to Germany who attended the WEF in Davos and some special events during the business summit.